One of the most important attractions during my trip was the the famous W circuit in Torres del Paine. 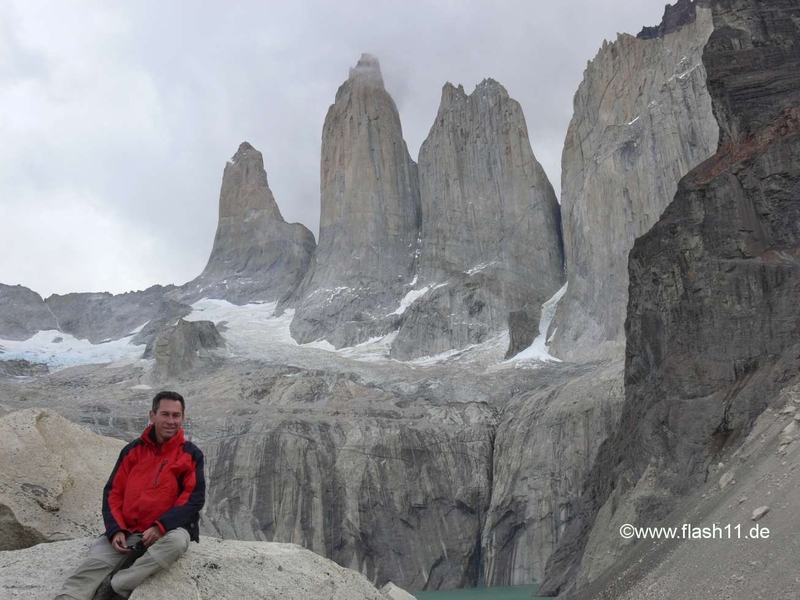 The name Torres del Paine (Spanish for „Towers of Paine“ and „Paine“ is the old indigenos name for the colour blue) comes from three immense rock towers in the park. Unfortunately in December 2011 a huge fire broke out in Torres del Paine. I read about the fire but I hoped that it will be extinguised until End of January. During my trip I heard it was not yet extinguished and I was very worried if I could trek the W circuit at all. All the time before arriving there I’ve tried to find out which way to take and where to sleep. I had done all my reservations long before the fire broke out but unfortunately my reservation for Paine Grande Lodge has been canceled short term before I arrived there. I’ve spent a lot of time figuring out another way and to do other reservations. When I arrived there, the situation was improving, but the fire was still not 100 percent extinguished and I realized that a huge surface (ca. 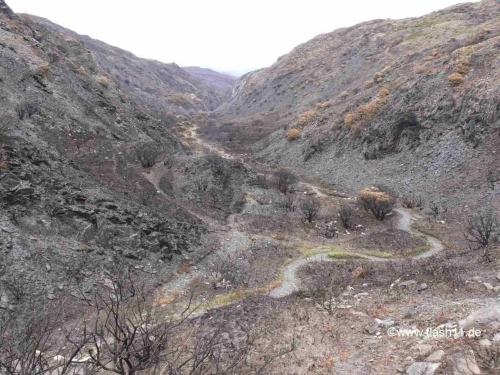 17.000 ha) in the national park has been destroyed. But anyway I could start my trek. 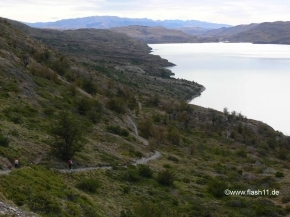 I took the public bus from Puerto Natales to Amarga in National Park Torres del Paine. At the entrance in the National Park we have received a lot of information regarding the fight against the fire. However these were the only visible measures. I got off in Amarga and then took another bus to Pudeto. 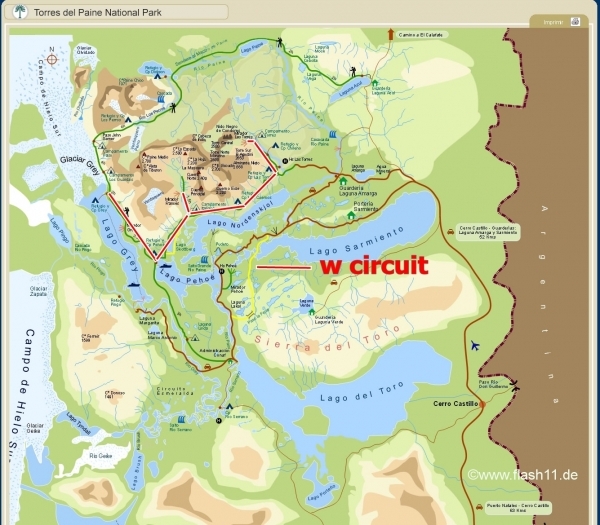 Only one bus is allowed within the National Park. 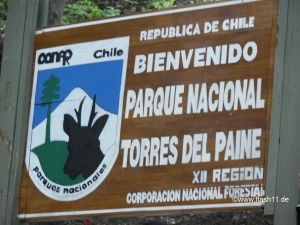 The entrance fee in the National Park is 15000 CLP. I took the catamaran from Pudeto by to Paine Grand Lodge. Price: 12000 CLP for a 20 minutes trip.The Hotel Paine Grand Lodge at was closed because of the fire and unfortunately all wooden sign posts were burned down too. 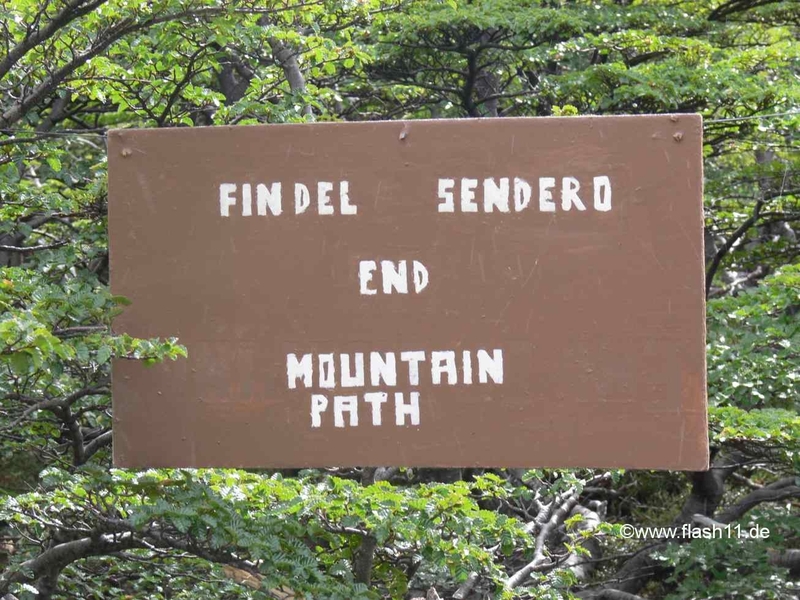 I hiked to Refugio Gray. ca 4 hours. Not too difficult. But the landscape was awful. Everything burned down!! Like in the apocalypse. I was very lucky to be the first customer in Ref Gray after reopening and the only customer in that night. 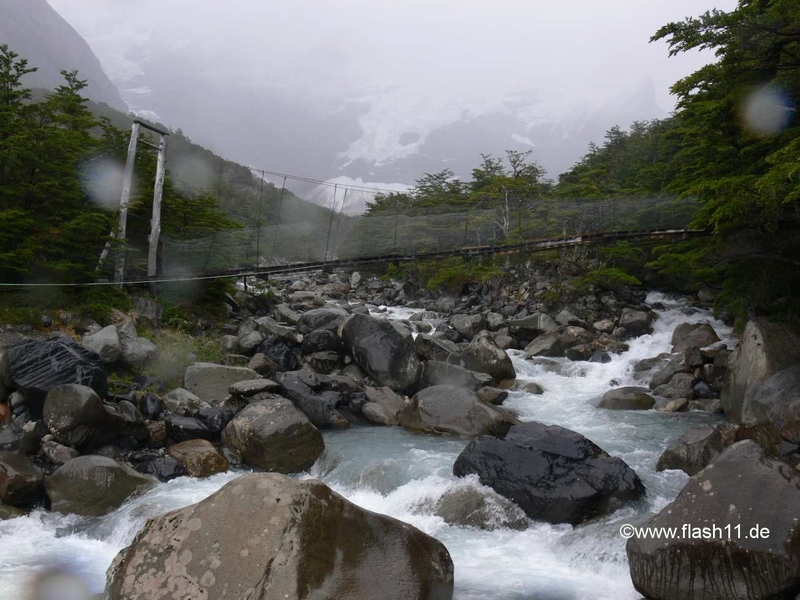 Wonderful mirador (lookout) with an amazing view to the Gray glacier 10 min behind the Refugio Gray. Everything burned down from Ref Gray up to French Valley on ca. 20 km !!! However the Chilean authorities do not do anything to avoid similar brands. People there told me that it took one week in Dec 2011 until the first fire fighters started to extinguish fire!!! Until then a lot of trees burned down! Some sparks have been carried by the wind over the Lake Nordensköld (ca. 1 km wide) so the other side of the lake burned down too! Very bad that the Chileans have such a wonderful nature but they don’t do enough to protect it. Even in February the fire was not totally extinguished! It was very windy during the trek. 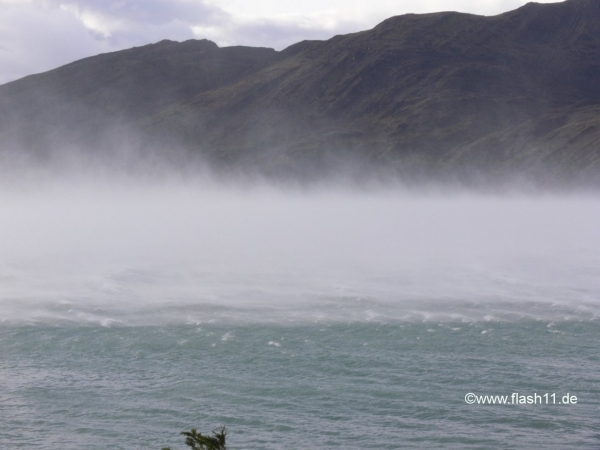 The wind was so strong that it could elevate the water out of the sea, build a water curtain and shift it over the sea. Very spectacular. 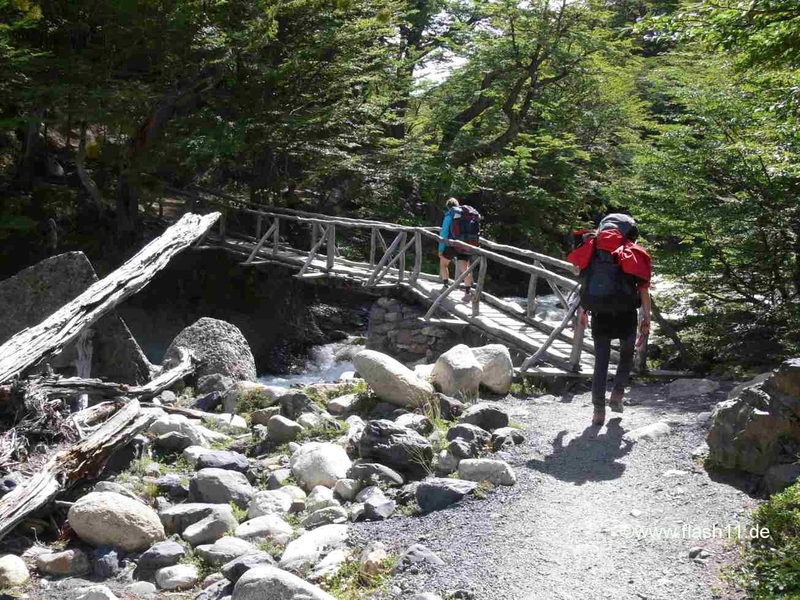 Refugio Los Cuernos was totally crowded because Campamento Britannico and Campamento Italiano were closed because of the fire. In the evening it was cold and everybody wanted to seat in the dining room. Dinner in two shifts. The team there had a lot of work and they did it great. It was a hard trek of ca. 10 hours and I was happy that I’ve trained in the alps! I had reached the middle leg of the W and I was happy that my back could afford it! There are two outlooks in the French Valley. 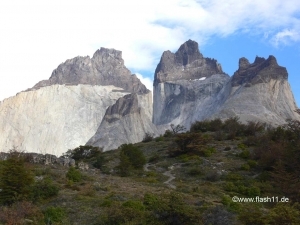 At the second one there is an excellent view at the Los Cuernos peaks with a white body and black top. Very strong winds. I had to push the poles in to the earth to turn my back against the wind and lean against the poles. Without this I could not stand. The first part of the trek from Los Cuernos to La Chilena was easy. 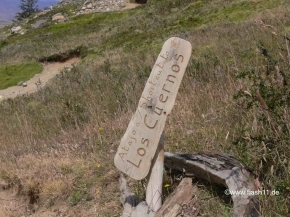 Because of good whether I have left my backpack at la Chilena and went further to Mirador las Torres.The last part of the ascent is very tough with a lot of stones. 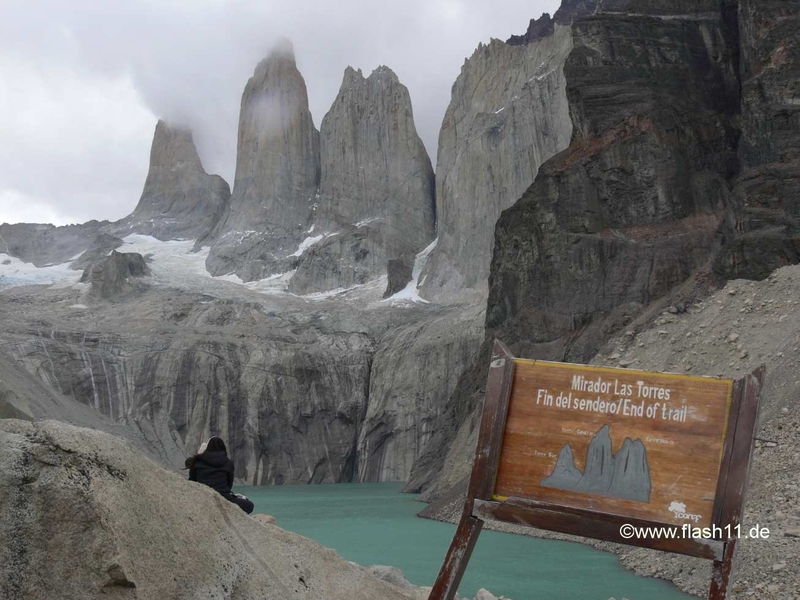 Amazing view on the three Torres and the lake. 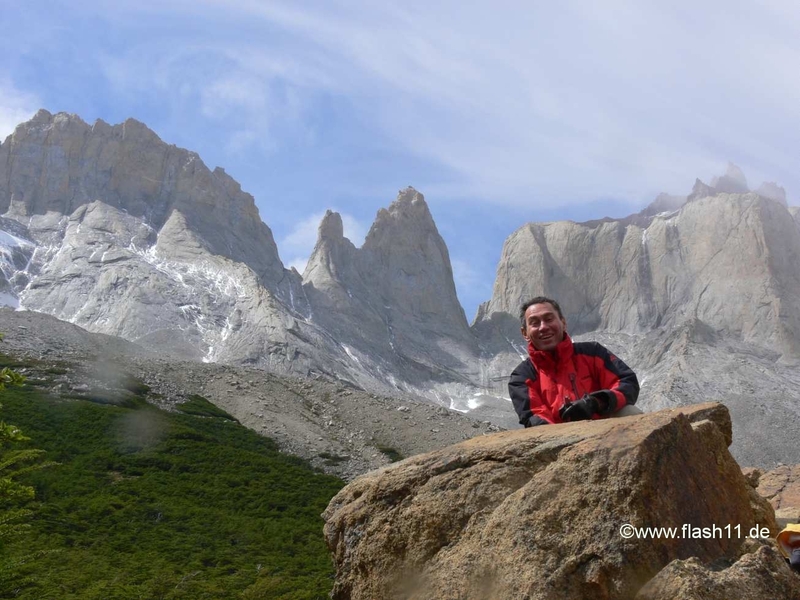 I was very happy to come back to La Cilena after the 10 hours trek. From la Chilena 2 hours easy trek to Hosteria las Torres. After four days without power for loading the cell phone, I was wondering about the full comfort in Hosteria Las Torres with lobby bar, PC corner and conference rooms. Back in the civilization! 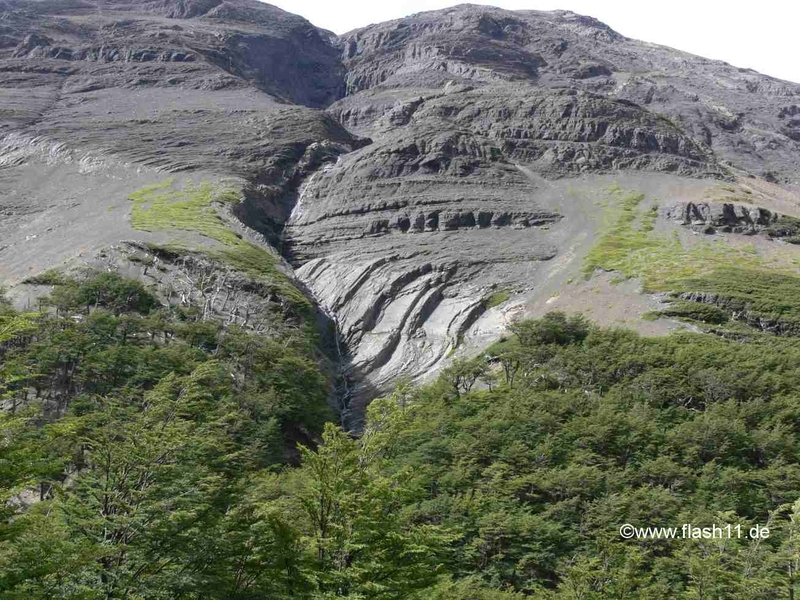 From there I took the minibus to Amarga and then with the bus to P Natales. Despite all the problems that I had because of the fire, it was a wonderful trek with amazing landscapes and I was happy that I have booked the refugios in advance. A lot of young people sleep in the tent but at my age I prefer to sleep in a genuine bed. And the most important thing: my back hold! 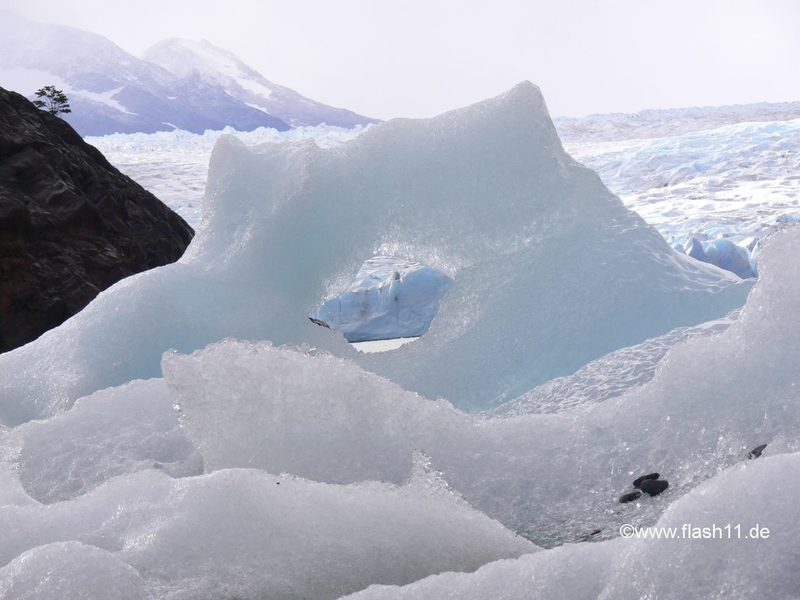 On Feb 4 I flew from Punta Arenas to Puerto Montt after spending an additional night in P. Natales.